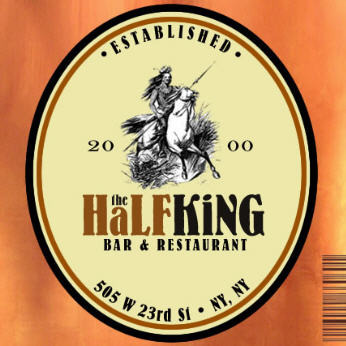 After drinks and apps/small plates at The HalfKing, stroll thru Chelsea's art galleries and find yourself a masterpiece ... or a date! At the Half King, everything's made from scratch using the best ingredients (brownies made with Valrhona chocolate!). Full Bar. Menu prices run from $6 to $16. Dress, casual.